We are pleased to announce that JMF Audio (est. 1985) has reserved the largest room of Munich's Hifideluxe to present its most complete ensemble ever. The exhibition will take place at the Marriott Hotel in parallel with the High-End at the MOC (bus shuttle) from May 9 to 11. We are looking forward to welcoming you in Salon C. Detailed information are available at the bottom of the page. The science and the art, involvement and genuiness, we look forward to sharing our approach with you again. 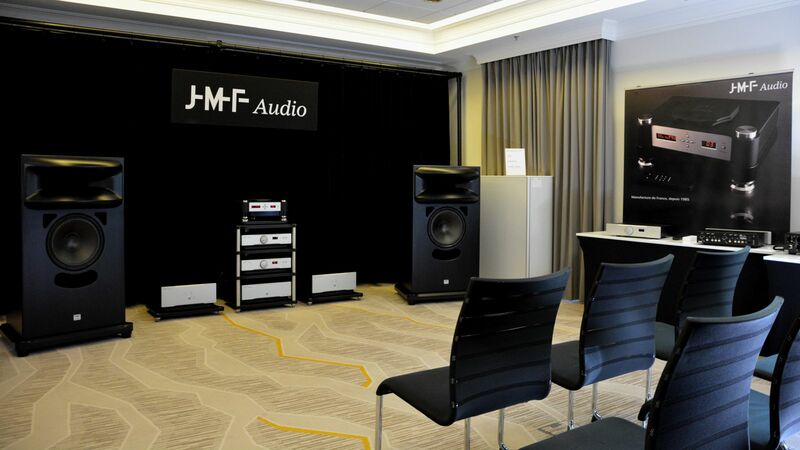 JMF Audio will exhibit in Salon C, first floor, access by lobby stairway, from 12:00 to 20:00. The Hifideluxe show is not part of the High-End fair which takes place at the M.O.C. Munich (Messe München). Hifideluxe is a different organization. For visitors' convenience, a bus shuttle will make the link between the M.O.C. and the Marriott Hotel every 15 minutes. At the M.O.C. the bus will stop by Hall 3, Lilienthal Allee 45. Please visit Hifideluxe site for details.